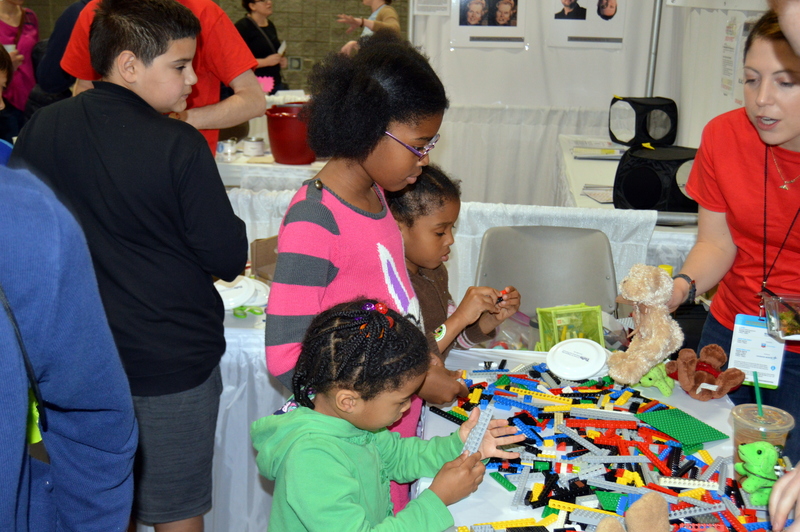 STEM EXPO – A Must GO! – Happy. Homeschooling. Housewife. 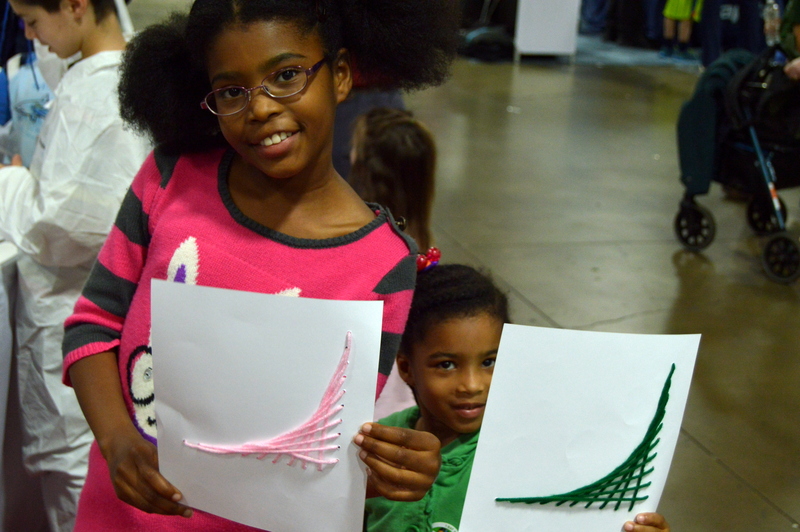 If you have never been to a STEM EXPO–Go! Every year, usually in the month of April, the Convention Center in Washington, DC gets taken over by all things science and engineering related. Wow look at those hands grow! I will admit, the liberal arts in me was not so excited about spending a day surrounded by…well, STEMy things, but my second-born gift, Niara, is a lover of all things science and so we knew she would love it. Finally, we found her tribe–she was happy. She was able to tinker all day. The place was packed and the exhibits–all hands on–were endless and ageless. Even three year Lourdes found a lot of fun, hands on things to do. This 3-D experience was one of her favorites. We only saw one hall of exhibits (there were about 6 halls). 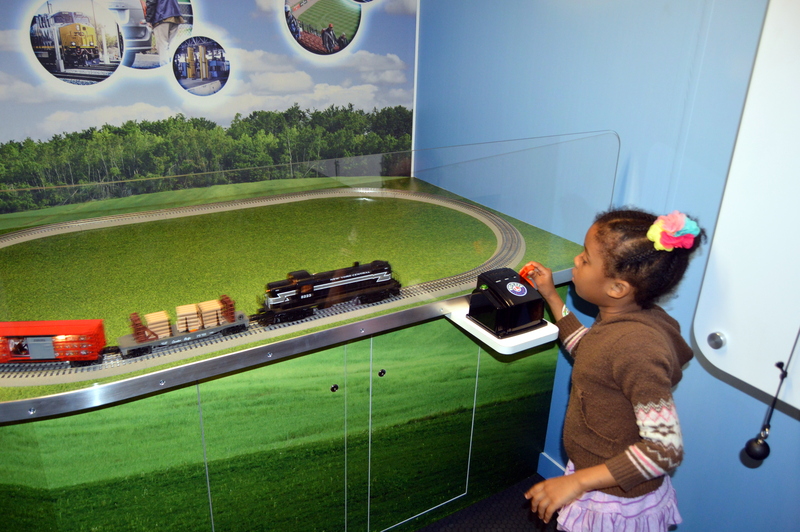 Niara loves trains–we were so happy for her they had trains for her to play with. This was learning at its best. All around people, the young and the old, were engaged in hands-on, interest based learning guided by passionate experts–it was great! There was a lot GIRL POWER! 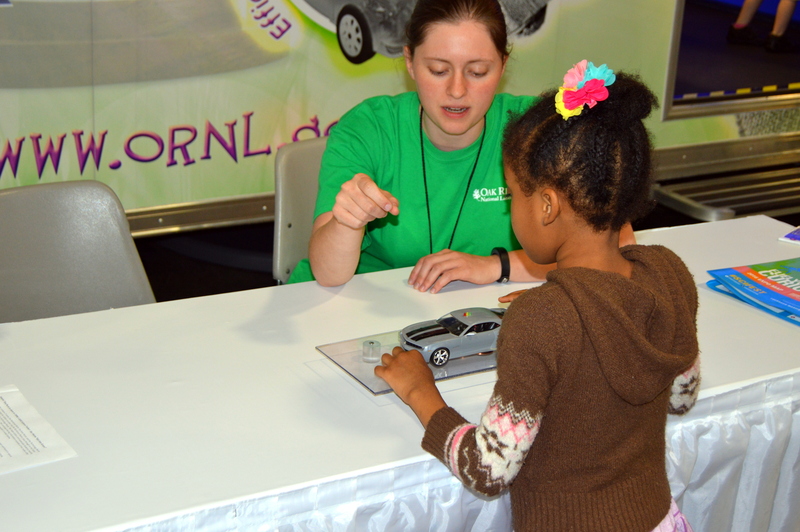 Here Niara is being instructed on car efficiency. We already decided to put it on our yearly must-do list and I encouraged everyone (even us lover of words) to attend. Lela & Lourdes showing off their stem-inspired art. Until next time….Stay Encouraged, Be Blessed & Enjoy STEM!